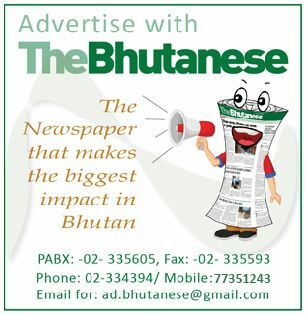 With the aim to inculcate good savings habit and create awareness among the younger generation and parents on banking, insurance, and various types of financial services provided by the financial institutions, Bhutan Development Bank Limited (BDBL) in partnership with Zangkhar Primary School in Lhuentse observed Global Money Week starting from 25th- 31st March. The started with an offering of Zhabten to His Majesty The King and His Majesty the Fourth Druk Gyalpo and the lighting of butter lamps. The first day of the event was attended by the Gewog Gup, Parents of the students, officials from BDBL, teachers among other local leaders. Aligned with the theme for Global Money Week—Learn, Save, and Earn, BDBL also took the opportunity to educate the students and parents on the Royal Monetary Authority’s initiative towards enhancing youth’s general competencies and financial capabilities by educating them on Youth Ethics Banking Incentive Program. With the help of the parents, all the 135 students in the school opened a YE banking account with BDBL and a nominal premium amount was deposited by the parents. The YE Banking Incentive Programme has also been initiated with the aim to improve students’ morality and performances in schools whereby dummy banknotes will be awarded to the high performing students in academics, co-curricular activities like sports and cultural programs. The dummy notes will also be awarded to those poor performing students who can exhibit remarkable progress in their academics even if their grades are not as excellent. The dummy bank notes are pegged with bank points and each bank point currently has a value of two Ngultrum which is subjective to change with time. According to the approach adopted by the Royal Monetary Authority, the Bank Points are in turn pegged to real money that will be deposited annually into their ‘my YE-banking passbook’. The passbook will be treated as a normal savings account and will earn interest with time. Teachers will keep track of the points and the total points earned will be revealed at the end of every session. Apart from the amount earned from the dummy notes by the students, parents can also make timely deposits according to their financial convenience for their children’s future. The principal of Zangkhar Primary School, Chhimi Rinzin, said that the school is privileged to have been identified for the implementation of such a financial program. He said that such a program will go a long way in encouraging the students to save more and strive for excellence in all the school activities. “The people of two gewogs- Jarey and Maedtshog will be highly benefited from such programs in the future and we are grateful to the RMA for the initiative and BDBL for bringing financial services to our doorsteps—despite being located afar. The school will observe Global Money Week every year hence,” said Chhimi Rinzin. The BDBL has also contributed a nominal amount of Nu 15,000 to the school as seed money to kick start the program, for which the principal assured the parents and students that the money will be utilized judiciously in order to achieve optimum success. Speaking to the gathering, Jarey Gup Kinzang Minjur advised the public to refrain from availing loans for trivial reasons to avoid unnecessary burden and court cases. In order to celebrate Global Money Week, Chhimi Rinzin said that various activities and lessons have been planned throughout the week after school hours to promote better financial literacy among the students. 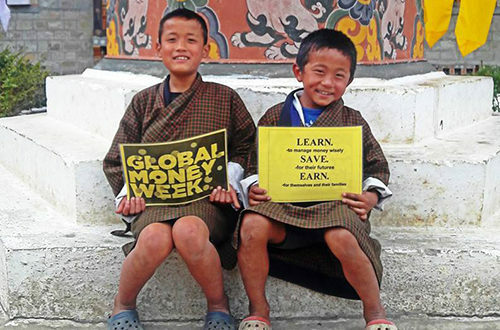 Giving an overview of the importance of Global Money Week, the branch manager of BDBL in Lhuentse Dzongkhag said that there are currently 169 countries observing the event which involves 32 mn children around the world. The officials from BDBL also made a point to engage and educate the parents on different banking services provided by the bank as part of the financial literacy program. She said that she will also try to deposit a nominal amount whenever possible to secure her child’s future for higher studies. Another parent, Dechen Lhaden, a mother of three said that it’s a wise initiative to improve the morality of students and a strategy to do away with their complacency. She said she would to believe that opening a Youth Ethics banking account for her children will motivate them to work hard and ensure a stable future in her absence. Lozang Yoedrak, 9, studying in fourth grade said that he understood what was being presented on the YE banking service and the importance of opening YE savings account. “I learned that I should not be always spending money on buying unnecessary things—so I’ll be saving money henceforth in my newly opened YE savings account. Tshering Choden, 14, who is studying in sixth grade, said that she could understand the YE banking concept with clarity, adding that it will further motivate her to study well. She was able to summarize the concept when asked to do so. However, some parents and students said that they couldn’t grab much of what was being presented by the school and BDBL staffs. “I couldn’t get what was being presented by the officials as it was very confusing and I wasn’t concentrating much during the session,” said a fourth grader.